Online ads that used to just direct customers to landing pages now need to initiate direct phone calls. Customers running searches on mobile devices have high expectations and less time. They want immediate information, answers and assistance. As a search marketer in today’s multi channel world that has various customer touch points you need to take a coordinated, cross functional Approach to finding, understanding and acquiring customers as they move between online and offline experiences. Callback buttons do exactly the thing. They not just provide you call analytics but when connected with your google site analytics they can provide you a real time and behaviour report of visitors to your site. 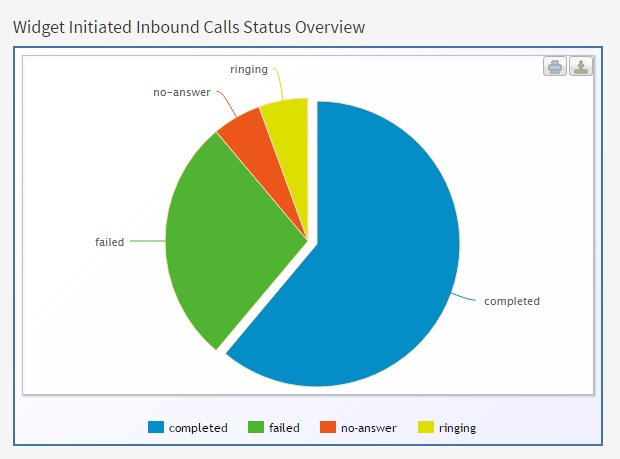 With graphs and charts your can easily identify how many visits in a given date range vs how many call buttons clicked and how many call back requests actually submitted. The data gets attributed to agents in your team which gives an impression how each agent in your team is performing. Without an accurate picture of how many calls your paid search spend generates, the quality and outcome of those calls, and their impact on revenue, your ROI data may be grossly inaccurate. The callback buttons can also measure the number and duration of inbound calls to help call centers decrease customer service costs. It can also record phone calls so that you can keep a quality and process check. You can use the call recording data to improve marketing plans. The tone, pace, or word choice used by a caller provides better evidence of their emotional state than digital behaviors can. And firms that can create an emotional connection with customers have an advantage. Searchers visiting your site on smartphones want to call you. Regardless of your ad’s call to action, you need to give them an easy option to call with prominent click-to-call links and buttons throughout your site. Don’t Delay and Sign Up for a Free Trial today and see your ROI improved.